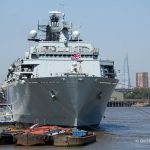 New series of photographic studies of individual ships seen on the Thames. 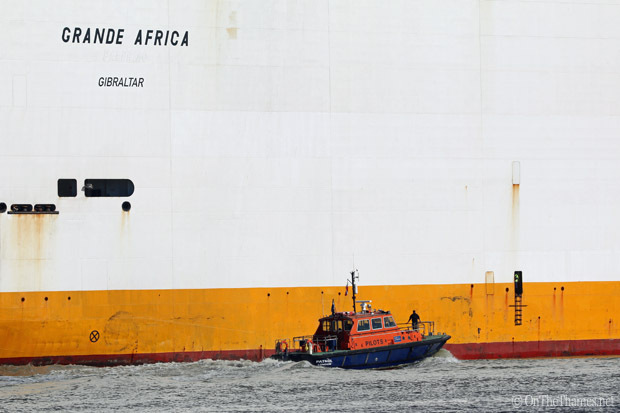 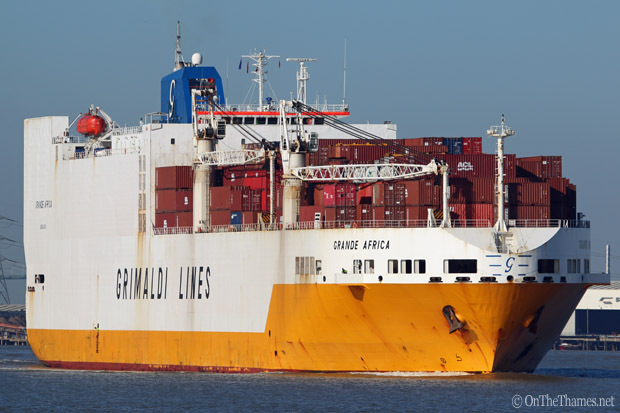 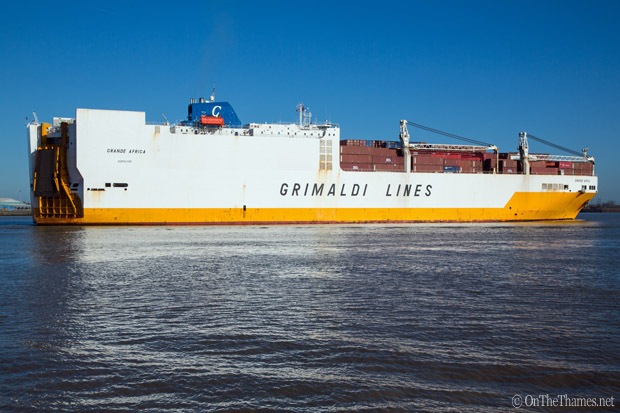 GRANDE AFRICA, operated by Grimaldi Lines, is a vehicle and container ship frequently seen on the Thames. 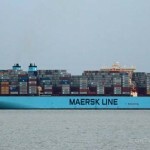 It carries cars and boxes from European ports to locations in Africa like Lagos and Tema. 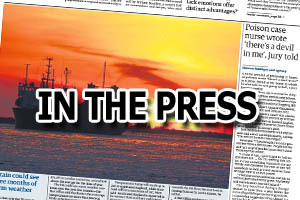 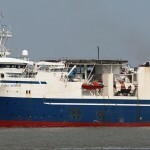 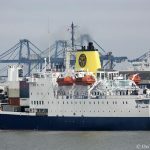 The ship was built in 1998 and has a gross tonnage of 56642. 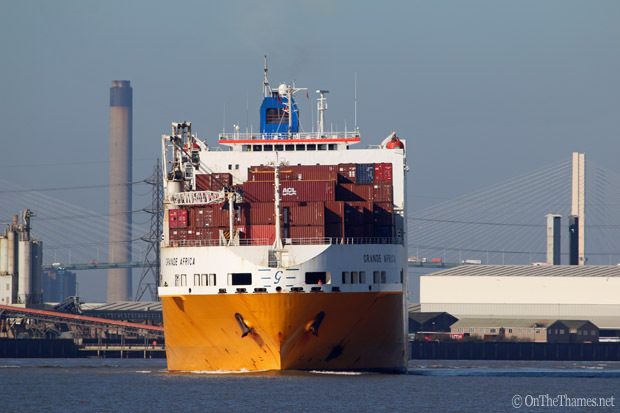 She measures up at 214 metres long and has a breadth of just over 32 metres. 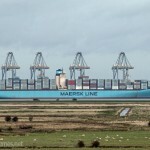 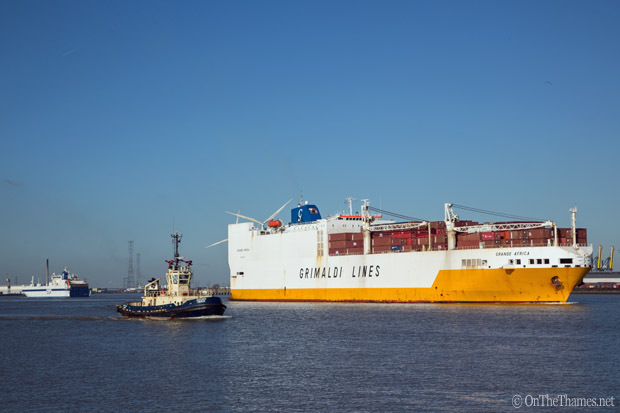 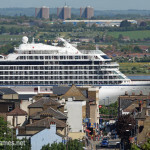 Grande Africa is seen in these photos today departing Tilbury on a lovely sunny morning. 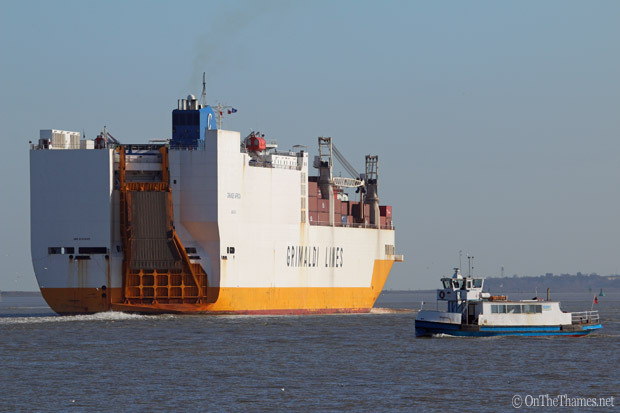 Next stop Antwerp!